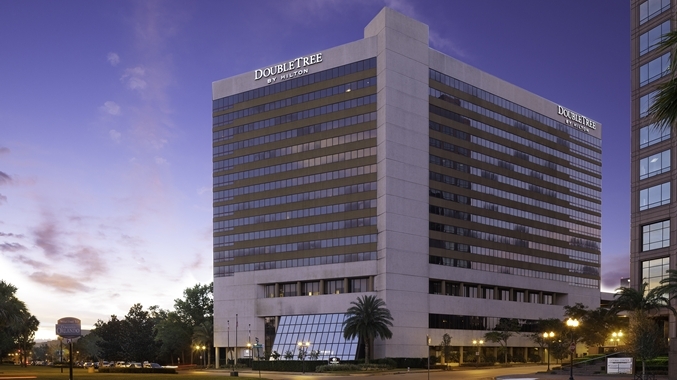 DoubleTree by Hilton® is a universally recognized brand with over 325 Hotels in 27 different countries. The Hilton brand sets the standard for excellence among the worlds leading hotel brands. 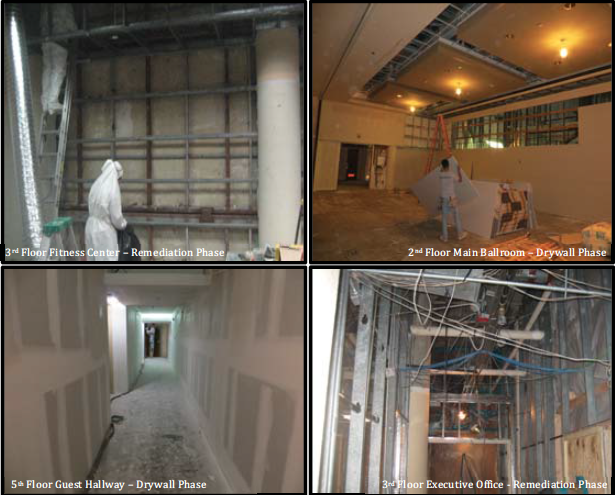 On March 9, 2012 at 12:35am, a 1-1/4″ copper hot water supply line inside the wall adjacent Room 503 and the 5th floor hallway cracked, flooding the surrounding area and the 4 floors below. Water will find its way through the smallest opening or crack and continue to flow. This water event affected various rooms and spaces throughout the hotel. Guest rooms, the fitness center, bars & restaurants, meeting spaces, executive offices, ballrooms and reception areas were all encompassed in the affected area and damaged by water. 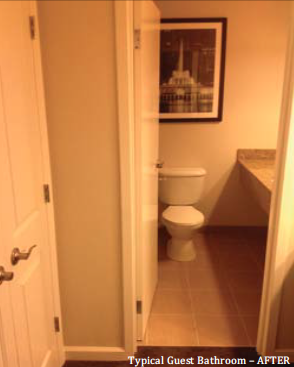 The total square footage of all areas exceeded 40,000 square feet. A competitor was called in, initially, to dry the space. It was not until 8 days later, the insurance company called Kustom to inspect the property. On March 17, 2012 Kustom US was onsite, with crews, to evaluate and properly remediate & correct the work previously performed. Kustom US worked closely with hotel ownership, hotel management and the insurance carrier to develop a mitigation plan and implement the plan quickly to minimize any interruption to the hotels daily operations. Past performance, at a high level, afforded Kustom US the opportunity to work with the owner, insurance carrier and insurance adjuster on this loss. Kustom US has a proven track record in successful completion of business large losses involving multiple phases and many “moving parts”. Kustom US was able to respond immediately and implement the mitigation plan. Kustom US uses state of the art equipment to quickly master the scope of the project and execute that scope. The key factor in the selection of Kustom US for the remediation services was the ability to perform the work with MINIMAL interruption to the daily operations of the hotel and work behind the scenes to stay out of contact with hotel guests. Removal of water damaged building materials was the first priority. The water-damaged building materials had been in place for 8 days, without properly being dried. The building materials were still wet and the potential for microbial growth was evident and great. 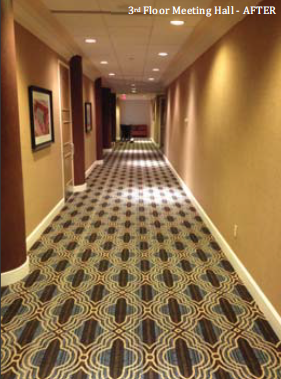 Kustom removed the water-damaged materials using environmental controls to ensure the safety of the remediation professionals, hotel staff and guests. 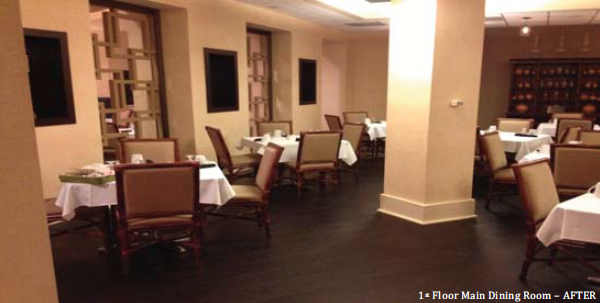 Kustom US worked intently with hotel ownership and hotel management to generate a detailed work plan and work schedule (by floor and by phase of work) for the replacement of damaged finishes. Kustom US would utilize the freight elevators for material distribution during the “off hours” so as not to impede hotel staff in performing their work that involved the use of the freight elevators. The remediation and reconstruction work was performed in phases. 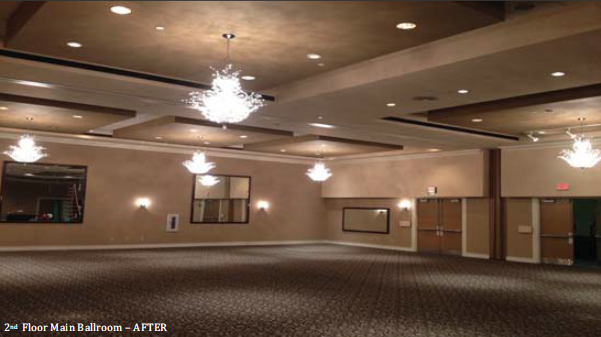 This phased plan ensured the availability and rapid turnover of previously sold banquet and meeting space. In addition, the phased plan enabled Kustom US to maintain a continuous & highly productive work schedule. 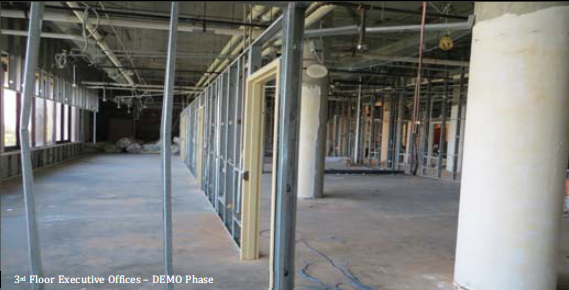 Following the demolition phase Electrical, Plumbing, insulation and fireproofing systems were identified as being deficient and required upgrade to current code standards. Kustom US worked with their team of engineers to develop a solution that satisfied all code requirements and the local municipality, while preserving the revised schedule and collective confidence of hotel ownership and the insurance carrier. Kustom performed all demolition in phases under contained, negative air chambers. This was necessary to prevent any cross-contamination between the work areas and occupied areas of the hotel. After being contained under negative air, all work areas were HEPA (high efficiency particulate air) vacuumed, cleaned with antimicrobial treatment, and sealed. Kustom engaged an independent Industrial Hygienist to perform Pre and Post-Remediation air quality testing in all work areas. The replacement of damaged finishes did not commence prior to receiving an air clearance certificate from the Industrial Hygienist on the post-remediation air quality testing. This enabled Kustom return a clean, safe and healthy environment to the client with supporting documentation. 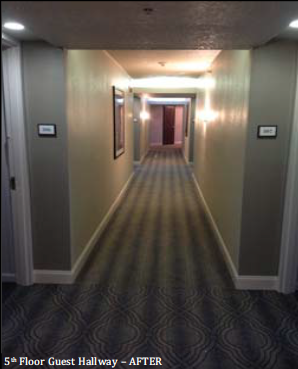 Constant communication between Kustom US, hotel ownership, hotel management, local building officials and the representatives from the insurance company ensured the successful completion of the remediation project. The project was completed on time and within the budget allowed. Kustom US was able to adhere to the mitigation plan, schedule and phased work to conclude the project without any diversions in the plan set forth at the inception of the project. The hotel continues to cater to their guests and eventually plans to emulate the work product in the balance of the guest rooms throughout the hotel. When they decide to implement the changes, Kustom US is their first choice to perform the work.